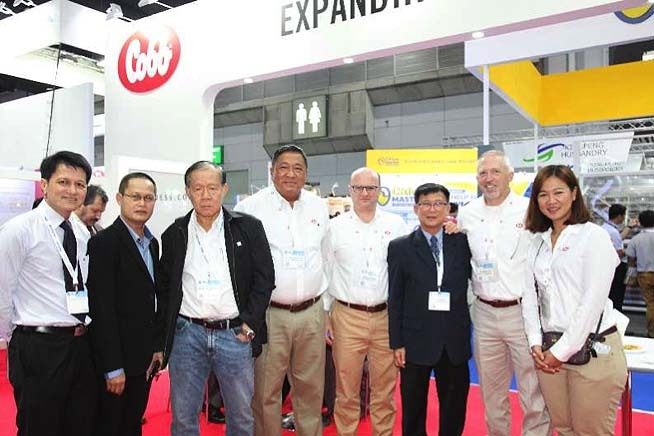 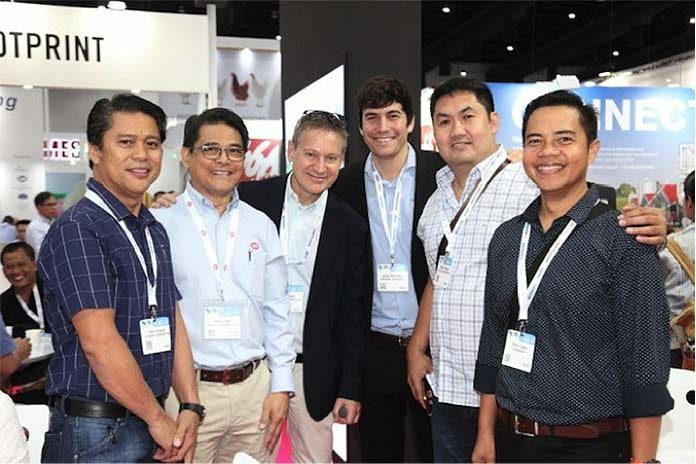 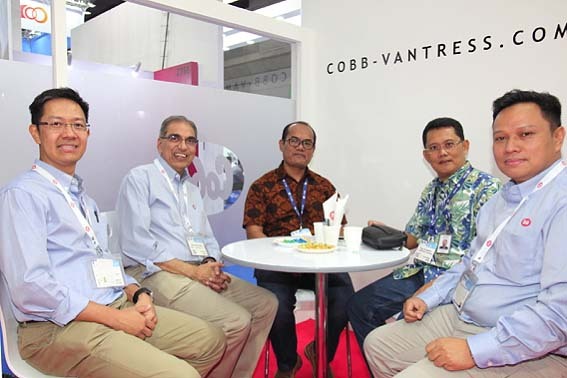 Bnedicto Cortes, sales manager at Cobb Philippines (second to the left) poses with customers near the booth. 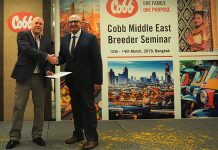 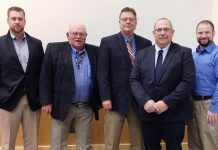 At the region’s largest trade show for the animal protein production and processing industry, leaders said they are focused on expanding Cobb footprint in the region. 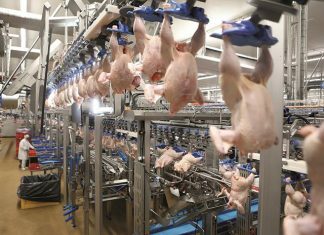 The Asia Pacific is considered to be the world’s largest poultry market in terms of tons of chicken meat produced annually.